Certain holidays, I have to confess, leave me feeling inept or out of touch. Marking the New Year, though: that one I get. I might not always (okay: pretty much never) stay up until midnight, but the retrospective/prospective rituals that accompany the the calendar’s rollover to a new increment make sense to me. As December winds down, I feel like I do when I’m getting toward the end of a good book: ready to turn the last page. I might riffle back through to review the highlights or contemplate what was meaningful or challenging, but mostly I’m ready to see how things are going to wrap up. Closing the cover brings the satisfaction of completion. The regrets of ending are tempered by anticipation for the next volume. Probably I’m inclined toward this bookish metaphor because I already have books on the brain. New Year’s Day falls during the time of year I’ve come to think of as my reading season, when I can settle in and take advantage of night’s early fall and fires in the fireplace. The readerly preoccupation is still further magnified by my long-standing habit of keeping a list of the books I read each year. Come December, I’m always a little obsessive about adding a few more titles to the tally, finishing off any half-read books around the house and picking out skinny volumes that will offer a quick read between Christmas and New Year’s. Before I pull out a fresh sheet of notebook paper on which to list the next year’s books, I’ll look back at the column of titles and think about the ones I most enjoyed or was surprised by. The number of books read is always much smaller than I’d like it to be, so the backward glance is balanced by a forward-looking impulse: the resolution to read more in the new year. On top of the metaphor of the year-as-book, on top of the season inviting indoor pursuits, on top of my compulsive recording of titles and authors (I used to keep track of the number of pages read, too, but gave that up back in 2009), I like the visual symbolism of an open book: twin fans of paper on either side of the spine. Poised alongside—joined to—the stack representing the finished and known are the unread pages, unknown but promising, poised and accessible. Ready to be turned over, each in its turn. So, here’s to 2017, may your shelves be well stocked and the days full of discovery. And if you’re looking for a few good reads to add to your own list, here are three books I read in 2016 that I’ll remember, and think about, and recommend for years to come. If you prefer your narrative nonfiction packaged in novelistic devices like dialog and descriptive scenes, you might not find much to like in On Immunity, but if you’re a fan of the traditional essay form you should definitely seek it out. 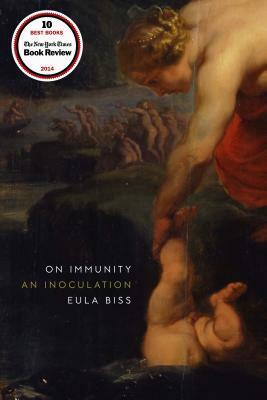 Biss writes about ideas, and she examines the themes of immunity and vaccination from pretty much any angle you can imagine: mythology, philosophy, the history of medicine, public health theory, conspiracy theory. At the center of it all is the desire to protect ourselves and our loved ones from disease, and she weaves in enough detail about her anxieties as a new mother to press the point home. That personal thread also provides a relatable context for her discussions of contemporary debates about immunization. The book isn’t a memoir, but Biss offers enough of herself to reinforce what’s at stake underneath all the cerebral tinkering. Challenging, but intriguing. I’m a lifelong westerner, and Desert America gave my habits of perception a good shaking. I came away from the book feeling less complacent about my native landscapes. Martínez depicts the deserts of the American Southwest through the filter of “border,” but he’s not just talking about the one between the US and Mexico. Immigration, past and present, galvanizes the pages, but he traces the contours of other demographic and social divides, including gentrification, environmentalism, and addiction. I tend to read—and think—about place through the lens of natural history; these lines, from early in the book, could have been written for me: “We are drawn to the natural beauty of the West out of our alienation from the human, our desire for a landscape without human contradiction.” Martínez, another lifelong westerner, embodies those contractions, writing with journalistic finesse as well as frankness about his own failings and discomfort. 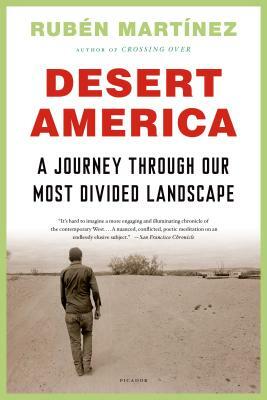 The divides he depicts run through people, not just communities and desert ecosystems, and one of the things that’s striking about the book is that an insider’s perspective is so persistently elusive. Hands down, my favorite book of the year. It just might make it onto my list of books read again in 2017. This entry was posted in reading and tagged Brilliant, Desert America, Eula Biss, favorite books, Jane Brox, On Immunity, Rubén Martínez. Bookmark the permalink. 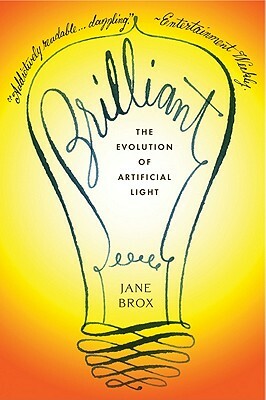 I loved Brilliant too. Will have to check out the Eula Biss. I just finished “The Year of Living Danishly” and it was so good. Highly recommended. Fascinating details of Danish culture, funny and readable. Thanks for the recommendation, Beth–I’ll try to track “Living Danishly” down. I’m looking forward to Jane Brox’s next book, too…tho it looks like that will have to wait until the 2018 list.